After failing to return all of the youngest migrant children separated from their parents at the southern border on July 10, the Trump administration failed to meet a second deadline on Thursday. Though the administration claimed success — and U.S. District Judge Dana Sabraw even said they get “great credit” for reuniting 1,442 children 5 and older with their families — on Friday there were 650 separated children still in government custody. “The government is at fault for losing several hundred parents in the process, and that’s where we have to go next,” said Sabraw. In a ruling on Friday, Sabraw said the government’s involvement with the “missing parents” isn’t over. 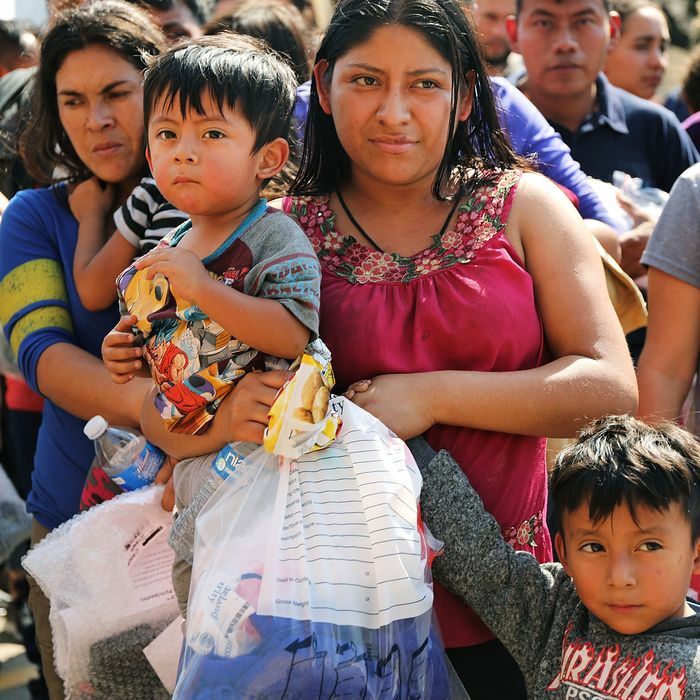 NBC News reports that he ordered the Trump administration to provide a detailed list by Wednesday of all the parents it had deemed “ineligible” for reunification. The administration said these parents fell into four categories. More than 400 adults were deemed ineligible for reunification because they’ve already been deported and U.S. officials can’t find them. Another 260 parents need “further evaluation,” but the administration was unclear on what that meant. Sixty-four parents had a “prohibitive criminal record” so their children would not be released to them. According to the testimony, parents who attempted to cross that out and choose the second option — being deported while allowing their children to pursue their case and stay in the US — were yelled at by the ICE agents or told they simply were not allowed to select another option. One was told that if he opted to be deported alone, his son would still get deported — and might be deported first. One father claimed he was briefly reunited with his 17-year-old son on Wednesday, only to be separated again. Minutes after they were loaded onto a bus they were told was headed to a shelter, it turned around. The father says that after refusing to sign the form agreeing that his son should be deported with him, the bus turned around and he was kicked off. His son was not allowed to get off the bus to say good-bye to him. The government said offering parents a choice is their standard practice, but denied that they’re ever coerced into making a certain choice. “Asking parents in ICE custody, who are subject to a final order of removal, to make a decision about being removed with or without their children, is part of long-standing policy,” said a Department of Homeland Security official. The ACLU, which brought the suit, said it will provide pro bono attorneys to help track down parents the government said it could not locate. “The judge’s order requiring the government to provide us with information about missing or deported parents leaves no doubt that the court expects the remaining reunifications to get done promptly,” said ACLU attorney Lee Gelernt.